Trevor Pearcey was just 27 years old and had been with his employer, the Council for Scientific and Industrial Research (later CSIRO), for less than a year when he went to his bosses with a bold idea. The idea was for a stored program electronic computer, to handle the complex equations of his radio physics researcher colleagues. “Even though a computer, which was digital, general purpose, high speed, electronic, with stored programming, did not exist at this time,” Ainsworth, curator of the Monash Museum of Computing History, explained. Pearcey had the intellect for such a challenge. 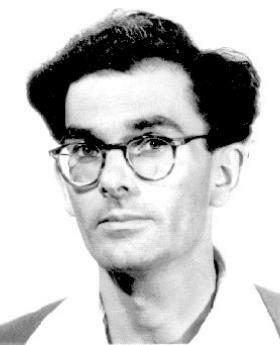 Born in London in 1919 he graduated in 1940 from Imperial College with first class honours in physics and mathematics, and during the World War II joined the Air Defence Research Development Establishment. At the establishment, he studied microwaves, antennae design, scattering functions and was involved in the development of army radar systems. It was during this time he was exposed to the disc-and-wheel based, analogue, differential analyser computer at Manchester University. Crucially, Pearcey also had the confidence to propose CSIR build its own computer, at considerable cost. It’s this chutzpah, wrapped in considerable charm, which made him “one of the greats,” said CSIRO executive director Dr Dave Williams. “Pearcey had all the attributes, which very few people had. He had the intellect, he had the vision to be able to say we’re going to do something different, he had the persistence – persistence and perspiration is a big part of achieving anything – and he had the charm,” Williams told the audience at the University of Sydney Nano Institute. With CSIR’s approval, in 1948 Pearcey set to work on the theory and logic of the proposed machine, while electrical engineer Maston Beard focused on the hardware. 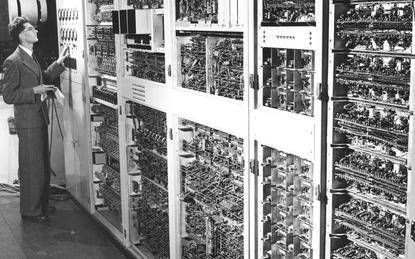 By November 1949, their computer the CSIR Mark I was running programs, the fourth stored-program electronic computer in the world and the first outside Britain and the US. The CSIR Mark I – later renamed CSIRAC – had a long and distinguished working life. It was used in the design of early Australian skyscrapers and performing flow analysis for the Snowy Mountains hydro-electric scheme. It was utilised to predict the weather and was the first computer in the world to play music, in 1951. In the non-mathematical field there is wide scope for the use of the techniques in such things as filing systems. It is not inconceivable that an automatic encyclopaedic service operated through the national teleprinter or telephone system, will one day exist. “He was innovative, committed and was a major contributor to Australian technology and science,” Ainsworth added. “His approach to science: think big, be confident of your own ideas and abilities so you can convince others of your projects, and then think ahead,” she said.